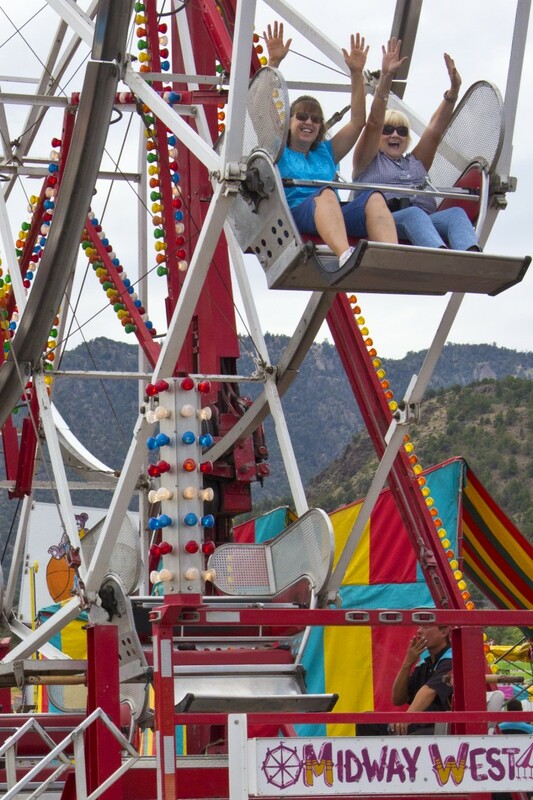 PAROWAN — Step right up and join in the Iron County Fair, “Preserving the Past, Celebrating the Future,” Sept. 3-7 in Parowan. There will be rodeos, tournaments, contests and entertainment for all. A main attraction is the Midway West Carnival featuring rides and fun for kids of all ages. Benches are provided for parents and grandparents to relax and keep the children under a watchful eye while they have fun. Along with your favorite rides, family-friendly games with levels of skill for all ages are also provided to add to the fun carnival experience. Midway West Carnival specializes in popcorn, cotton candy, freshly made caramel, candy apples and snow cones. Carnival discount pre-sale tickets are on sale at locations in St. George and surrounding areas: Lin’s, Smith’s, Parowan Market, Parowan Drug & Gift, the Parowan City Visitors Center, Parowan Family Dollar, Cedar City Brian Head Tourism Bureau and the Iron County Courthouse. The discounted price for 2015 is $18 for 40 tickets or you can buy them full price at the carnival. Wristbands will also be available for unlimited riding on Thursday or Sunday for $18. Pre-sold discount tickets can be traded in for a wristband. If purchased at the carnival, a wristband will cost you $25. Nothing says county fair better than an exhibit building full of hand-crafted items created by Iron County residents. There are so many talented individuals in Southern Utah, so bring in your quilts, saddles, counted-cross stitch samplers, fine art, photographs, jams, jellies, zucchini, pumpkins and others to share with all. Exhibits will be open to the public for viewing starting Friday, noon, and ending Monday at 5 p.m. Don’t forget to vote for your favorite entry for the People’s Choice Award. The 2015 exhibit book can be downloaded here. The traditional tractor caravan from Cedar to Parowan through the Gap takes place Saturday, 9 a.m. to 2 p.m. followed by the Tractor show at the fairgrounds. 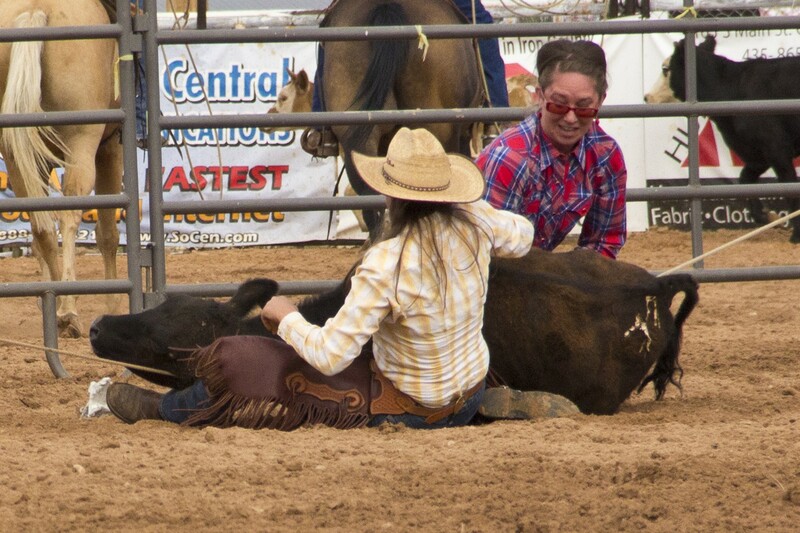 Ranch Rodeo takes place Saturday 9 a.m. to 5 p.m.
Pre Rodeo Show brings Eric Dodge to the grandstand at 6 p.m. followed by the Broken Heart Rodeo at 7 p.m. ($7 adults, $4 children) and fireworks. End Saturday inight with dancing in the entertainment tent at 9 p.m. to music by Most Wanted. Get your family team together for the 2015 Iron County Fair 5K run and walk Sept. 7, 8 a.m. The race starts at the entrance to the carnival and finishes on Main Street and 200 North. Each family team must consist of five runners. The runners can be part of any age group or gender. The only requirement is that you are part of that family. The family race will be scored like a cross country race. Each team member will be awarded the number of points that correspond with the place they finish by gender. The family who finishes with the least number of points will be the 2015 winner and will receive a prize, as well as bragging rights for the next year. The 5K provides a fun, positive experience for any age or ability. With over 200 participants in the 2014 event, you should be able to find someone to run or walk with that is at your pace. Register here or for more information call Mike Robinson 435-477-8869 or 435-590-0021. That’s ABBY on the tractor. !